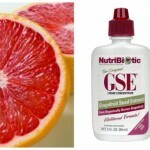 I juice every morning and take Biotin daily along with a plethora of other supplements. Now because of all the stuff I take, I cannot pin point to you whether or not taking Biotin has made a tremendous difference in my body, but I believe it has helped. 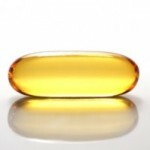 Biotin is a B-complex vitamin and is sometimes referred to as vitamin H or B7. B-complex vitamins play an active role in metabolism, the synthesis of fats, cell growth, and regulation of blood glucose levels . In other words, Biotin and other B-complex vitamins help your body to process energy and help carry carbon dioxide throughout the body. Foods rich in Biotin are, egg yolk, butter, cheese, kidney & liver meats, cauliflower, nuts, Brewer’s yeast, legumes, and sardines. Biotin is naturally produced in the intestine. 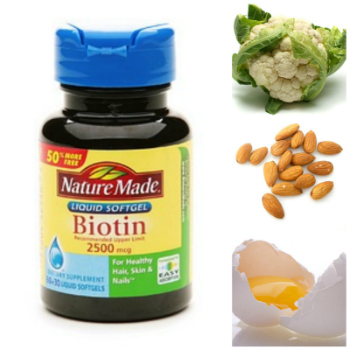 Benefits of Biotin are primarily to treat Biotin deficiency. Signs of deficiency in Biotin are thin hair, balding, brittle nails, depression, numbness of extremities (fingers & toes), muscle pain, insomnia, dry, scaly skin, fatigue and lethargy. I used to take biotin a few years ago. It worked well to keep my hair thick and fast(er)-growing. But that meant the hair everywhere, not just on my head! I also think there are certain brands that work better than others. Some have fillers which don’t allow the biotin to work as well as it should. I didn’t notice any extra body hair taking biotin before, but I’m already quite a hairy girl so I probably didn’t notice anything. I’m not sure if my hair got thicker or longer because of it. It was always thick and grew at a normal rate. My nails did get stronger and longer and my skin looked great. I was taking Biotin for two weeks and my skin started breaking out. I suppose the dosage was to high and I wasn’t drinking enough water. So I stopped taking the pills. I believe had I kept taking them my hair would have been stronger? I’m looking to take Folic Acid pills now. 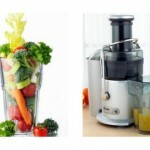 Trying to implement juicing as well. I started taking biotin two weeks ago but I decided to stop, I may start taking it again though. To piggy back off of what everyone else was saying I was growing hair alright, but in all the wrong places. I had hair sprouting out of my neck and chin. Now if those are the kind of growths I will be seeing from biotin then it is not the vitamin for me. Biotin helped my hair and nails grow like crazy BUT it also made my skin quite oily (with tiny pimples) even though I was drinking lots of water. The last straw was the day I had a TERRIBLE acne breakout (I honestly haven’t had such a bad breakout since grade 10) and stopped taking it altogether. That happened about three weeks ago and now my skin is almost back to normal. My skin is still a little oily but its much better. I may start taking it every two weeks or so but for now I’m giving my body a break. My advice is to proceed with caution! And yes it helps hair grow faster all over your body, not just your head. I had the same problem with Biotin. My skin started breaking out really bad and I couldn’t figure out what it was until I stopped taking it. The same thing happened when I took B-6 and B-12. supplement it contains biotin 1000mg which I purchase from my online company!!!!!!!! Thanks for this article, I’ve been taken Biotin for 2 mths and notice a difference in my hair. It’s fuller in the places that was thin and OMG it’s growing and I love it. I can’t believe my body needed this extra boost of vitamin, now that I know I’m not going to sleep on taking my Biotin or my regular vitamins again. thanks for sharing this post here with us.i liked it very much as i found it pretty useful for all of us.good stuff.keep it up.